This entry was posted on May 1, 2008 at 10:19 am	and is filed under Niramis(Vegetarian). 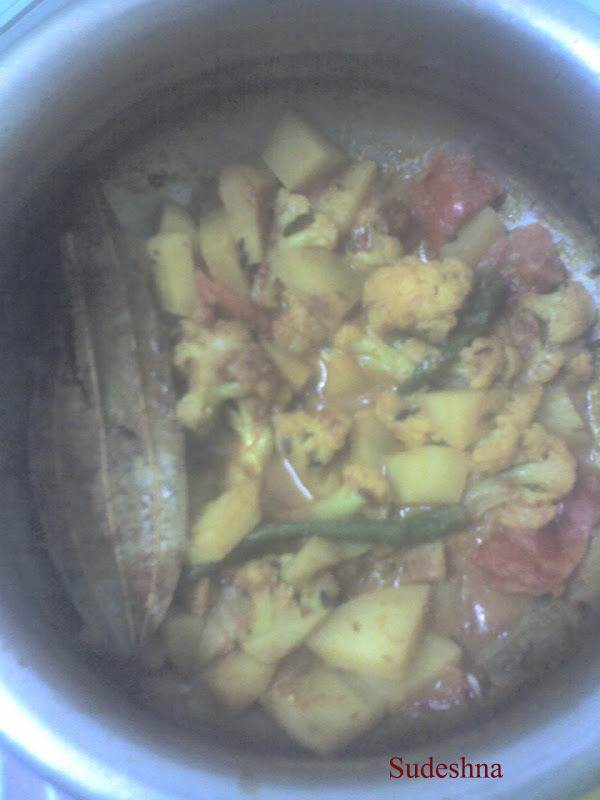 Tagged: bengali ranna, cauliflower, cauliflower curry, ful kopi, mustard oil, veg, winter vegetable. You can follow any responses to this entry through the RSS 2.0 feed. You can leave a response, or trackback from your own site. When should i give the green chili?